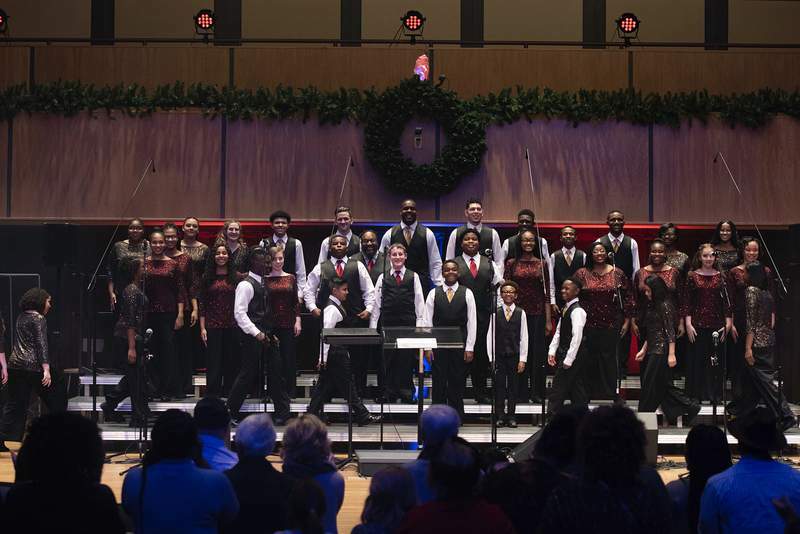 Photos by Brett Luke | The Journal Gazette The Voices of Unity Youth Choir takes the stage Sunday afternoon for Praise Celebration 2019 at the Rhinehart Music Center at Purdue University Fort Wayne. Marshall White, founder and CEO of Unity Performing Arts Foundation, speaks Sunday. 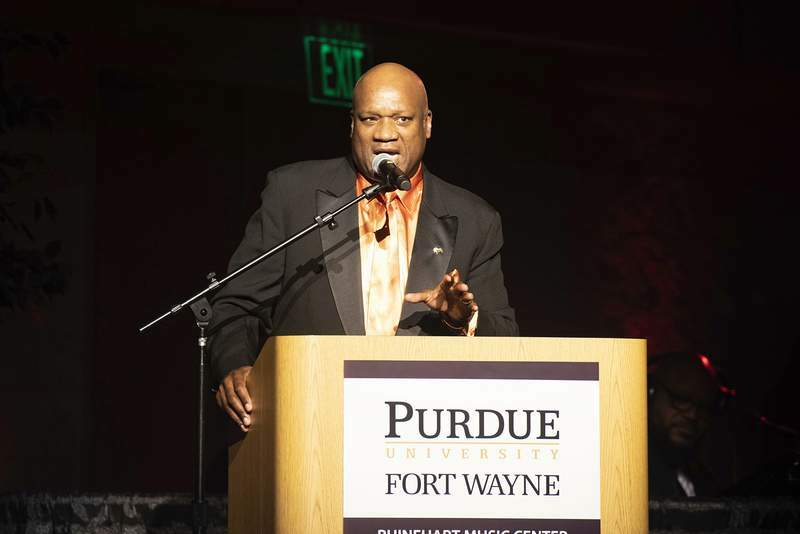 Deven Bridges posed a question Sunday to a packed house at the Rhinehart Music Center on the Purdue University Fort Wayne campus after summarizing fire's destructive power – turning homes into ash, buildings to rubble and prized possessions into dust. A City on Fire was the theme for this year's concert, which included a song titled “On Fire,” red lighting and simulated flame decorations on and around the stage. “Tonight, we pray that our great city, Fort Wayne, Indiana, will be a city 'ON FIRE' that inspires our children and youth to live productive lives and achieve the highest level of their potential,” White wrote. The three P's – preparation, presentation and performance – that were drilled into her as a young member stuck with her, she said, noting the qualities go hand-in-hand with pageantry.